Solar power presents a great opportunity for churches, treatment centers, schools of all learning levels, and homeowners associations to save money. By reducing your operating costs and capitalizing on affordable electricity, you can free up your budget to provide vital funding to other parts of your organization. Solare Energy will assess your energy needs, design and install the system, and assist your organization in finding the right financing mechanism to get the best value possible. Typically supported by donations from your congregation, it can be difficult to cope with constantly rising energy costs. Dedicating more and more of your church budget to operating costs every month can take away from other important programs. Solar panels for churches and other religious organizations are a great way to fix electricity costs and free up money for growth or community outreach. Most universities nowadays have some form of solar, whether it’s a campus-wide effort or a few panels in the parking lot. Did you know that all schools can benefit from solar panel installation as well? Specialty schools such as preschools and learning centers often have smaller budgets and a greater need to fix energy costs, allowing them to benefit from solar for schools. Whether your center works with special needs clients or provides rehabilitation services, you too can see added savings every month by installing solar for your treatment center or specialty facility. 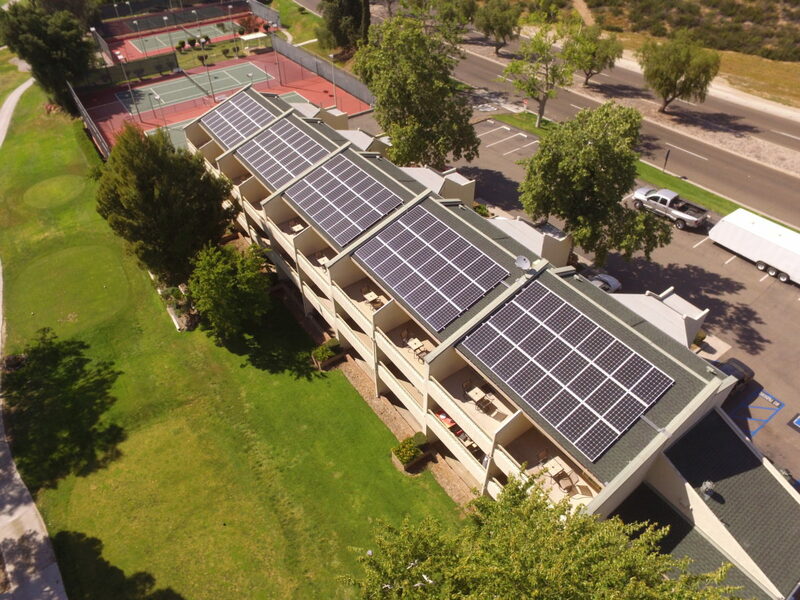 Whether you have a centralized campus with on-site residence or housing/facilities dispersed throughout the community, Solare Energy will build the right energy solution to save your facility money and keep your operating costs down. Nobody likes a hike in their homeowners dues, but it can be difficult to avoid with the cost of electricity always on the rise. Take advantage of your HOA’s non-profit status to access special financing and utilize common areas to install solar, saving your homeowners money. Solare Energy’s solutions for HOA solar are often used to offset common grounds electricity consumption such as lighting, pools, elevators, and more. Designed to utilize property taxes to finance improvements, PACE programs allow your organization to tap resources usually untouched. These programs can help you install solar panels for churches, schools, treatment centers, and more. Solare Energy’s analysts will assist you in deciding if this solution is best for you. Crowdfunding isn’t a new concept to many non-profit groups. Some entities such as churches rely on it. This idea has been taken to a whole new level with mechanisms such as MOSAIC that allow you to reach more than just your congregation to achieve access to more funds. For non-profit organizations seeking immediate cash flow savings, TPO systems (leases or power-purchase-agreements) can be an effective way to lower operating costs without the outlay of any capital. Solare Energy specializes in providing financial analysis to weigh the options and help organizations decide which method will be best to finance solar for churches, schools, or other non-profit entities.